This landmark miniseries kept viewers spellbound for months when it originally aired in 1984. 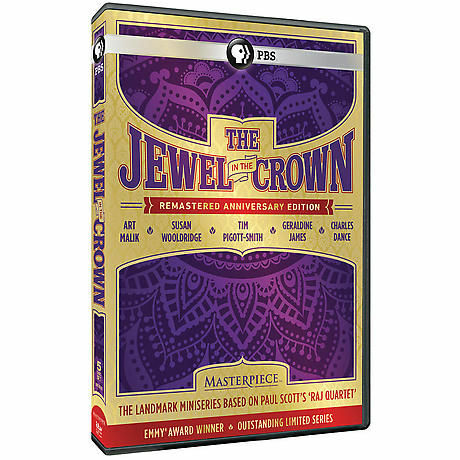 Adapted from Paul Scott's The Raj Quartet, filmed on location in England, Wales, and India, it won over 20 international awards including a Golden Globe and an Emmy®. Revisit or discover the rich, complex tale of the end of British colonial rule in India. With Dame Peggy Ashcroft, Art Malik, Susan Wooldridge, and Charles Dance. "Superb drama of reverberating substance"--New York Times. 14 hrs, 5 DVDs, SDH.